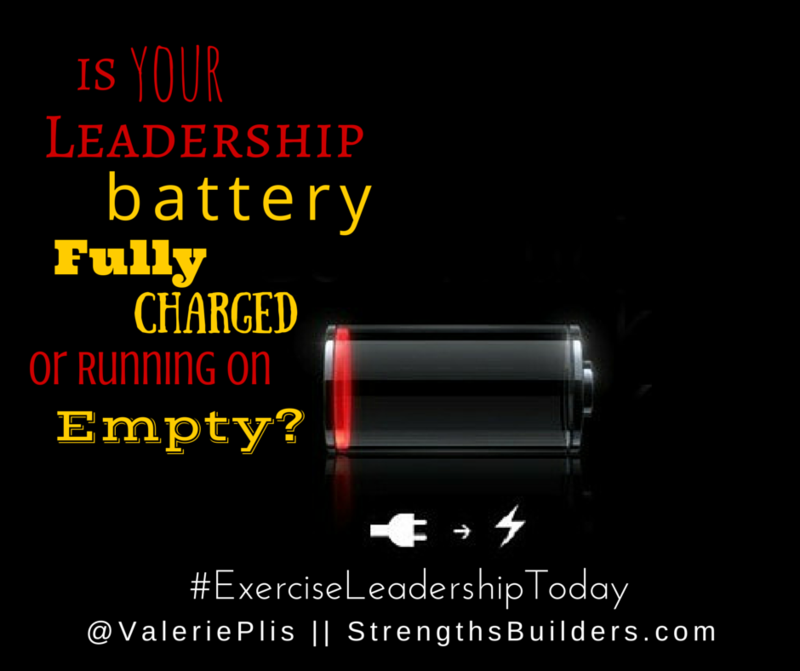 Is Your Leadership Battery Fully Charged or Running on Empty? Have you ever been going through your busy day when you looked down at your cell phone only to see that dreaded red bar that lets you know the battery in your phone is almost completely drained? This happened to me (again) yesterday. I only had 10% of my battery left and I still had a very busy afternoon and evening ahead of me. Driving to my next appointment I plugged my phone into my car charger. It wasn’t a long drive so it barely pushed the battery up to 13%. After using my phone during the meeting to check email, pull up a document on Dropbox, and schedule our next appointment, my battery was back in the red with only 8% left. I continued the routine of plugging into my car charger, plugging into an outlet during an appointment, and constantly waiting for that dreaded moment when my phone completely shuts down. As a leader, there are things that energize your “internal” leadership battery and there are things that drain it. [/tweet_box] Great leaders understand the importance of keeping a watch on their “internal” battery. They know what events, tasks, and people energize and charge their battery and they know what events, tasks, and people drain them. Take the next 3 minutes to write down any answer that comes to mind. During these first 3 minutes do not take time to evaluate and dismiss an idea … simply write it down. You may be surprised at your answers when you don’t take the time to overthink it. Now what? Based on what you wrote down in each column, what needs to change? How can you do more of the things that energize your battery? What do you need to do differently to better manage, re-negotiate or set healthy boundaries with the things that drain you?